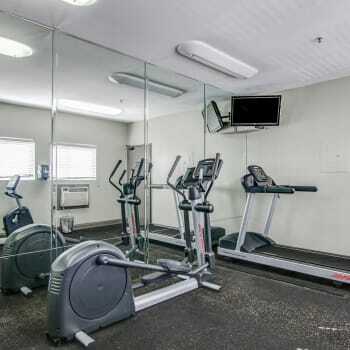 As a resident, you gain exclusive access to our luxurious community amenities. Squeeze in an early-morning workout at our fully equipped fitness center, outfitted with weightlifting equipment and cardio machines. When you need a little rest and relaxation, check out the beautiful outdoor swimming pool and spa. However you like to unwind, our gated community has amenities designed with you in mind. Give us a call to find out more about our one and two bedroom apartments today.